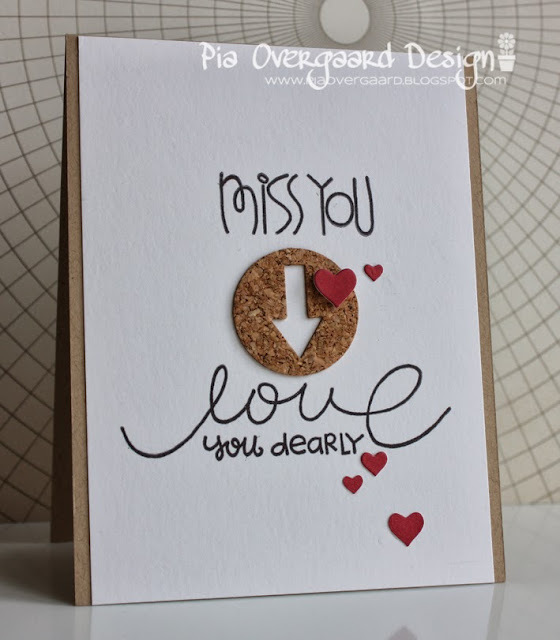 Today I am playing with cork on my card - another card for this week's challenges at Moxie Fab World. I had the Danish Operation Write Home in mind when I created this card. 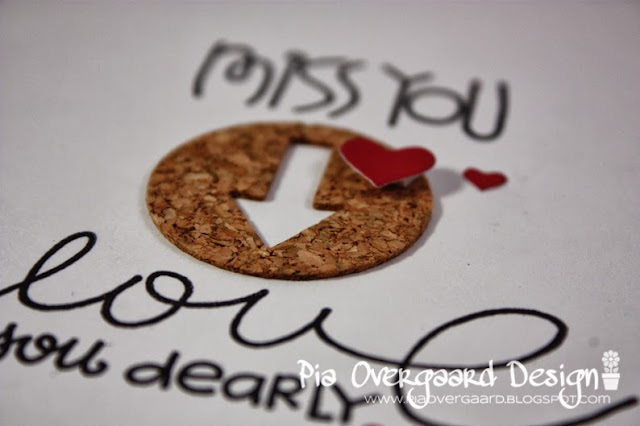 I think this would make a nice card for someone to send home to a loved one. The cork element was die cute with a MFT die (set of arrows). The hearts with the SSS Holiday Shapes dies ( small hearts & stars). Paper: cork, bazzill kraft & cardshoppe. Today is the last day - sigh! I had so much fun playing along and checking in each day to see new inspirational cards! I plan to play along for the 2 remaining challenges another day - I was just too busy the last couple of days!